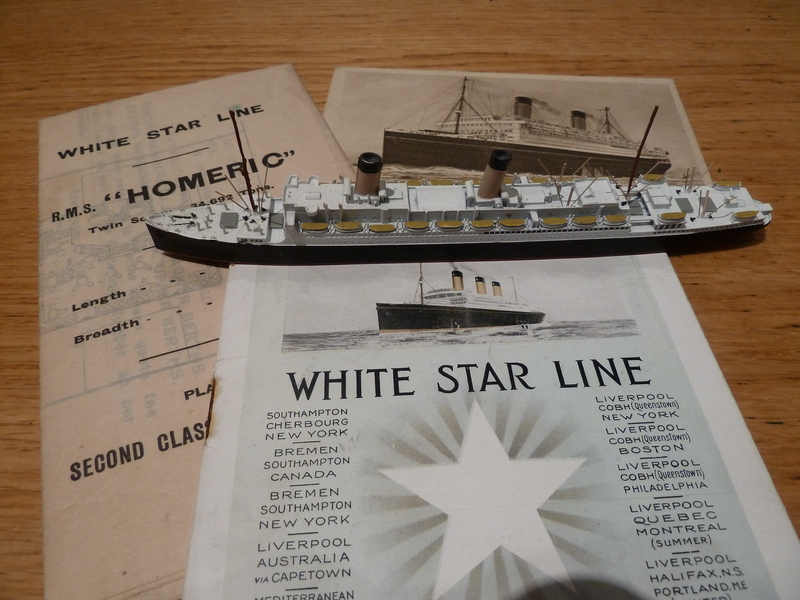 The White Star liner Homeric arrived just in time to see through the sleet and spray the last of the 38 men of the Raifuku Maru swept to their deaths in the Atlantic. It was 10.55 New York time and the exhausted Japanese crew had been clinging to the railings since the force 9 NNE gale shifted their grain cargo at 5 am, their ship listing ever deeper into the sucking, surging seas. The British sailors – who had battled for five hours to reach the distressed freighter – were distraught. Out on the pitching deck of the big mail liner, their passengers were horrified. In the narrowing gap between the ships, men drowned. “Many of the passengers exclaimed from time to time, ‘there’s a man floating. I see a head!’ But as the wreckage drifted nearer the stern of the Homeric we could see that some of the objects that looked like human heads were only sacks,” said Mr George J Heatherton, of 553 Broome Street, New York. A hundred and twenty-three of Homeric’s passengers disagreed, and signed a testimonial backing Captain John Roberts – sharing his “regret and sorrow that the terrible conditions prevailing at the time rendered his efforts unavailing”, but the row rumbled on. On the waterfront in New Jersey, the slur against an honest colleague was taken personally. Bert Sivell, young officer-in-charge of the Shell depot ship Pyrula, was disgusted. 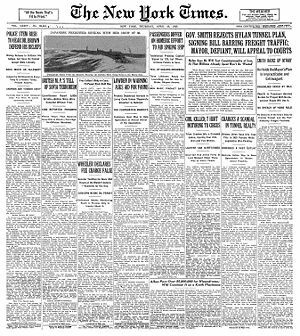 “There has been a terrible shipping disaster in the Atlantic, but I expect you read about it in the home papers,” he wrote home. “A Japanese freighter foundered with all hands during a bad gale. The Homeric arrived on the scene an hour before she sank but had not time to rescue anyone. That vessel is a big lump to handle in heavy weather. He got as near as he could and pumped oil overboard but could not get sufficient quantities out to do any good. It would require a proper tanker to cope with that situation. The gist of Pinchot’s complaint was not that lifeboats had not been launched – Capt Roberts had three swung out as they approached and even Pinchot expressed “grave doubts” as to whether such small boats could have survived in such tremendous seas. It was not even that Homeric had not fired lines (ropes) across to the stricken vessel, because he accepted she had no equipment to do so. His objection was that no rafts were dropped, and that Capt Roberts had steered his bucking, heaving 774ft, 35,000 ton passenger liner and the 944 lives aboard away from the submerged wreckage and spreading flotsam too soon. As he arrived in Quarantine in New York, the master told the waiting reporters wearily: “I was busy on the bridge manoeuvring my ship and I did not spend as much time looking at the freighter probably as some of the passengers.” He himself had seen only half a dozen survivors, and by the time he had managed to work his ship round to the lee side of the wreck where he might have picked them up, he could see no signs of life, neither on what was left visible of the deck nor in the water. The ship’s owners, Kokusai Kisen, sent a telegram thanking him for his efforts – which White Star judiciously published. Raifuku Maru had left Boston bound for Hamburg four days earlier, but she was only 400 miles out – barely two days’ steaming from Boston – when her new young wireless operator, Masao Hiwatari, sent his SOS. The message was relayed from Halifax NS. Homeric was the nearest ship, 70 miles away, blown off her own course by the gales and foul weather. Down in Homeric’s stokeholds men sweated, shovelling mountains of coal into the furnaces, piling on speed until every rivet and gauge on the liner rattled. But all the while the crippled ship, now listing 40 degrees, was being swept away southwards. “Coming as fast as possible, twenty knots. Now seventy miles from you,” Homeric signalled. Other ships were also on their way. The Greek liner King Alexander (former SS Bremen) reportedly arrived in New York with one passenger “dead of excitement” having lost lifeboats, ventilators and several saloon windows before she called off her attempt to reach Raifuku Maru through the gales, after Homeric reported she’d sunk. “We didn’t know our position and [Raifuku Maru] didn’t know her position,” said Captain Roberts later, “and we were able to get her direction only from her radio. We got signals from from the Japanese freighter for quite a long time. When we got the last message we were 45 miles from her. She was in pretty bad straits, and her last message was ‘we are waiting for lifeboats’… Water was pouring into her funnel when we arrived.” He had come 111 miles in just five hours. Three of Homeric’s passengers said they saw men trying to launch a lifeboat, which was immediately smashed by the sea. As Homeric pumped out oil, lawyer Ralph Crews of 55 Wall Street watched three big waves sweep the surviving crew off the railings. “We could see them swimming around for a minute, but they quickly disappeared,” he said. Sadly, when reports of the loss reached Japan, Amos Pinchot’s protests struck home. The Japanese press cried racism. The Japanese seamen’s union in Kobe, aghast to think their colleagues had been abandoned, appealed to the international community, and the emperor issued 300 yen payments to the bereaved relatives. Meanwhile in the US, the media frenzy stoked by Amos Pinchot ensured the tale of the Raifuku Maru was not forgotten. Somewhere in the telling Hiwatari’s last message became “Danger like dagger now … come quick”, unleashing tales of mysterious water spouts (and spawning its own college-boy band). 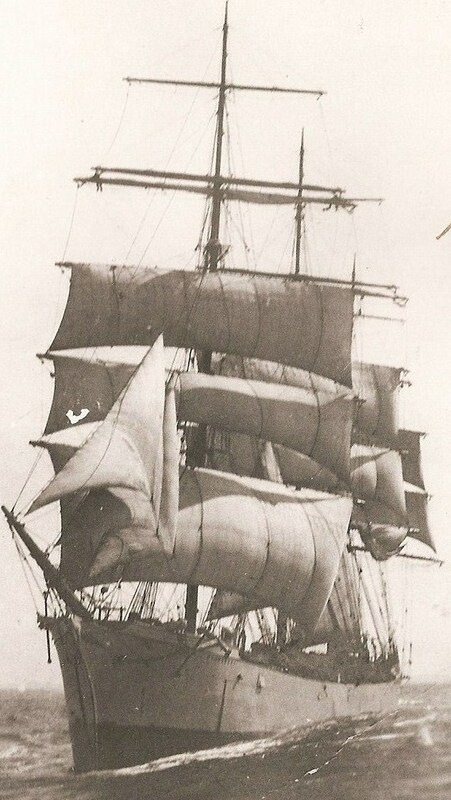 In fact, the 29-year-old wireless operator had lived in the US for several years, his English was good, and any deficiencies in his transmissions can more readily be ascribed to haste, fear and exhaustion as he risked his life below decks tapping away hour after hour to guide Homeric’s radio direction-finders. But why let the facts get in the way of a good story? 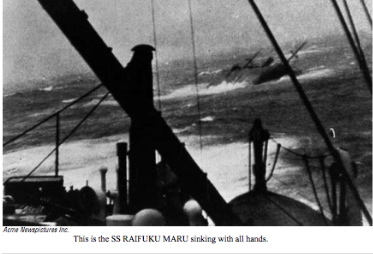 Nowadays, if you google Raifuku Maru, you end up – bizarrely – in the Bermuda Triangle, thanks to the US linguist Charles Berlitz, who claimed her as an unsolved vanishing in his bestseller of the same name in 1974. The book sold 20 million copies in 30 languages. The sighs of Captain John Roberts and his men, who did their best to no avail at Lat 41 43N Long 61 39W – off Nova Scotia, Canada – echo down the years.